I have never read a companion book! I did just finish Leaving Time and...wow. Just wow. I've not read a lot of Picoult but it was amazing. So, will you read it or do you feel as if you're finished with the character/story? Wait...did you get a Leaving Time ARC? Can I kiss your feet? I will definitely read it. It seems that the novel picks up many years in the future, when Alice has a daughter, and I want to see what direction the story will take. Glad you loved it! This was one of my first forays into companion novels, and I enjoyed it. I like that it was almost a prequel...I think companion novels that fall between books in a series appeal to me a bit less, though I'm not sure why. 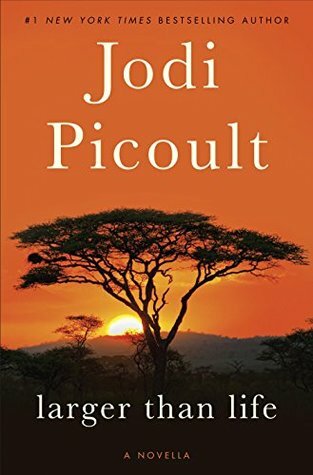 For years I've been telling my little sister that I don't want to read anything by Picoult because her books are too sad for me, but as I've started to enjoy more emotional books, I'm starting to think I should take her recommendation. This novella sounds very well done. I think it's impressive when an author can pack a lot of emotional impact into a shorter format story!